It’s that time of year again – festival season! So mark your diaries for Friday February 8 as the city’s best-loved homegrown electronic music festival, Groove on the Grass is back. It’s an impressive line-up for the festival, which will see electronic music duo Underworld headline. The band, who in their early days had six member, have had an impressive career in the music industry, which began in the Welsh town of Cardiff in the 1980s. After a breakthrough in the mid to late 1990s, they went on to sell millions of albums worldwide. They became synonnymous for their progressive house and techno performances that dominated the dance music scene in the 90s. The Brit stars have headlined some of the biggest festivals in the UK, and have previously performed at Coachella, so we can’t wait to see them live in Dubai. 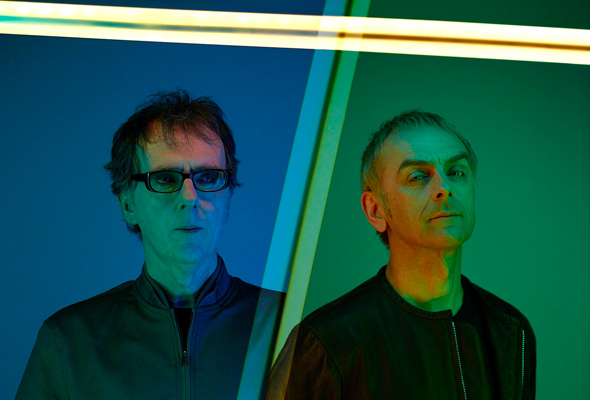 Underworld will be supported by Leftfield, Sebastian Mullaert, Radio slave and Monoloc. But it’s not just about the music. There will be plenty of activities to take advantage of before the sun sets, such as acro yoga, hooping, capoeira, interactive art installations and other fun activities. A number of food trucks will be on offer to keep you fueled up too.